Republicans on Tuesday released their own map that would address a federal court finding that 11 House of Delegates districts approved nearly a decade ago were packed with too many African-American voters. The proposal, introduced by Rep. 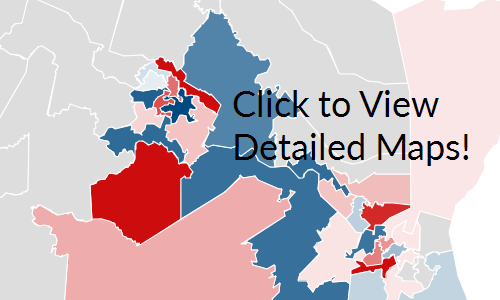 Rob Bell (R-Albemarle) would impact 30 of 100 House districts stretching along a corridor from Richmond to Virginia Beach. VPAP has charts showing how the GOP plan would change the racial composition, the partisan tendencies and the boundaries of the 30 affected districts.